Do you know anyone with an absolutely perfect personality? Chances are, you don’t. Each of us has strengths and weaknesses, and most of us, if we’re being honest, can think of a trait or two that we’d like to improve. But by now, you’ve probably also figured out that a personality trait can be a stubborn thing, and it can take time, perseverance, and an effective strategy to change it. Why is “changing personality” so hard? Because personality is comprised of traits, not states. A trait is a stable, pervasive characteristic that influences our thoughts, feelings, and behavior across a lifetime; whereas, a state is a temporary emotional condition that may or may not ever manifest again. 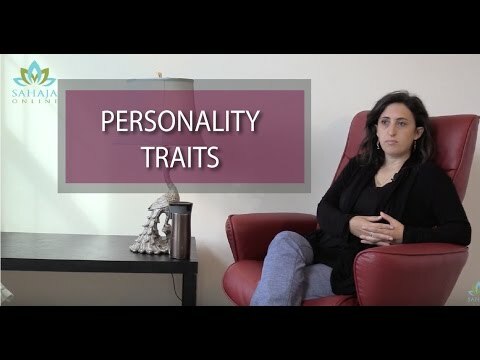 A personality trait is a relatively stable tendency to act in a certain way. Our traits begin to emerge in early childhood, become more deeply ingrained by late adolescence or early adulthood, and follow us throughout our lifetimes. Traits are not an episodic phenomenon — they don’t come and go like mood disturbances; they’re not temporary, situation-specific emotional states like state anxiety (versus trait anxiety, which has a genetic component) that are subject to change when our circumstances change. Thus, for some, it can be difficult to significantly move the needle on certain adult personality traits, particularly if the individual has severe personality impairments that rise to the level of “personality disorder.” And that holds true whether the therapeutic approach is meditation or a “talk therapy” approach such as cognitive-behavioral therapy. In the clinical world, the established practice wisdom has generally been that personality disorders tend to be “incurable,” especially when severe. But many clinicians believe that they can be difficult and time-consuming to treat, but not impossible. A psychotherapist’s treatment plan, for example, typically focuses on reducing self-defeating behaviors, improving interpersonal relationships, and teaching the individual to manage difficult emotions (for example, by learning to merely observe one’s feelings in a detached way rather than getting overwhelmed by them, which is similar to the state of meditation). Therapy also typically includes trying to increase self-awareness, and hopefully, through enhanced self-awareness, individuals will come to understand how their actions are impacting others, which can help them learn to change negative behaviors (e.g., disagreeableness, lack of conscientiousness, aggressiveness) and thus improve their relationships. The therapist may also need to treat other conditions (such as depression or chronic trait anxiety) that tend to be co-occur with many personality disorders, and serve to exacerbate the symptoms of the personality disorder. The hope is that by relieving an underlying condition such as depression or anxiety, the individual will improve his/her social relationships and experience a higher degree of personal contentment, in general. Personality disorders include: Antisocial Personality Disorder, Narcissistic Personality Disorder, Bipolar Personality Disorder, Obsessive-Compulsive Personality Disorder, Histrionic Personality Disorder, Avoidant Personality Disorder, and Schizotypal Personality Disorder. Obviously each personality disorder has distinct features, but the essential features characteristic of all personality disorders are impairments in personality (self and interpersonal) functioning and the presence of pathological personality trait domains or trait facets. Personality disorder involves significant impairments in self (identity or self-direction) and interpersonal (empathy or intimacy) functioning. Impairments in the individual’s personality functioning and personality trait expression are relatively stable across time and consistent across situations. But it’s important to point out that only around 10% of us have such severe personality impairments that we would warrant a diagnosis of “personality disorder” (Sansone & Sansone, 2011). 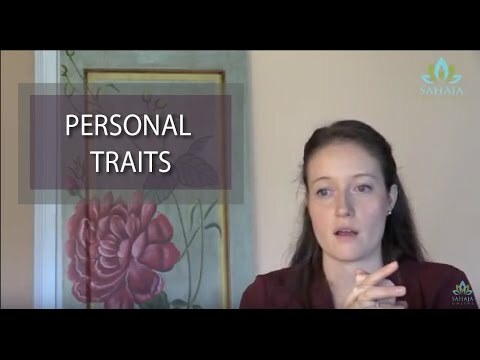 The rest of us fall somewhere along the spectrum of positive and negative traits, making us candidates for personality improvement and growth. Personality is a stew of ingredients that includes, for starters, genetic predispositions and childhood circumstances. We know that life events can change our brain’s wiring; hence, there is always hope that our personalities can evolve with our experiences. As we grow into adulthood, negative feedback from peers may teach us to modify our negative behaviors. We learn, for example, that it doesn’t pay to be disagreeable, selfish, overly aggressive, etc., and that such behaviors will only thwart our ability to have meaningful relationships with others and achieve our goals in life — both socially and professionally — which may motivate us to improve specific personality traits. So, no, personality growth is never hopeless for the individual who truly wants to improve and is willing to persevere to achieve lasting change. The question then becomes: To what extent can adults improve their personality traits? In this piece, we’ll explore possible answers to that question within the current research suggesting how meditation may foster personality trait improvement. The truth is, research on meditation’s effects on personality trait improvement is still in its infancy, thus this account should be viewed as a resource that will continue to evolve as more scientific evidence emerges. Why aren’t more researchers investigating personality improvement through meditation? It may be reasonable to conclude that many haven’t bothered trying to prove that meditation can cause a significant improvement in personality traits (or character either, for that matter) because they’re operating under the theory that it probably wouldn’t since personality traits are notoriously resistant to change. Such studies may also often be difficult and expensive to execute and improvement tricky to conclusively “prove.” Skilled clinicians would be needed to analyze results and conduct long-term followups since traits, by there very nature, change gradually, and because it would be necessary to ensure that any improvements “stick” over the longer term. Otherwise, the therapeutic approach is effectively only improving states, not traits. There is thus far no scientific evidence to suggest that any form of meditation can magically transform all aspects of an individual’s personality or character to such an extent that it could, for example, cure a severe, long-pervasive personality disorder. There is, however, plenty of anecdotal evidence from Sahaja practitioners, as you’ll see in the video clips accessible from this page. And while we may not yet be able to conclusively prove that Sahaja can influence all personality traits, or the precise degree to which it may improve any or all of those traits, we do, at least, currently have scientific evidence to support certain key trait improvements through meditation, as well as an understanding of why these improvements can happen — the mechanisms of meditation that may drive these improvements and may thus ultimately make meditation a natural for personality improvement and development. We can begin with the assumption that there are two simple but essential first steps on the pathway to personality and character trait improvement. The first is heightened self-awareness. The second is openness. We cannot fix problems that we are unaware of, or are unwilling to acknowledge. Nor can we fix problems, with any strategy, if we can’t allow ourselves to believe that it may work, or aren’t willing to at least suspend disbelief while we pursue it. Some studies have found that meditation facilitates the emergence of the developmental dynamisms (in other words, energy) necessary for personality growth. Recent studies have supported several prescient observations made by psychiatrist Kazimierz Dabrowski (Dabrowski, 1977) back in the late 1970s that may still serve as a foundation for developing a perspective on how meditation can influence personality traits and for understanding the relevance of the studies we’re about to discuss (Nixon, 2009). Meditation promotes the growth of the personality “ideal” — that is, meditation increases the congruence between a person’s real and ideal self. Solitude and concentration promote the dynamism of “autopsychotherapy” in two ways: by containing the areas of conflict and tension (e.g., by promoting relaxation and calm) and by transforming psychological conflicts into processes which promote development. Meditation enables one to detach from one’s instinctive “structure” to be purified of impulsive tendencies, to relinquish lower values to which one has been attached, and to disintegrate the self-preservation instinct, thus making personality development possible. Meditation may promote growth through self-awareness — by making possible an awareness of the complexity of one’s psychological structure, and through this awareness, comes the ability to critically assess oneself, consider alternatives and make plans for self-improvement. Meditation can promote the process of transcending one’s psychological type (e.g., introverts become more extroverted and vice versa) and help shape one’s primary interests and abilities, such as the ability to form exclusive bonds or to develop a feeling of “oneness” and self-identity. Following is a sampling of studies that suggest how meditation may promote changes in personality and self-perception and positively influence personality development and trait improvement. Personality theorist Robert Cloninger believed that character must be evaluated in any personality profile. Character, he believed, refers to a more “conceptualized” (“mentalized”) knowledge and evaluation of the self (the conceptual idea one has of oneself), and is responsible for efficient self-regulation. Self-regulation is a key component of personality development and necessary for personality growth. Growing in awareness, thereby increasing faith and Self-Transcendence. Cloninger believed that character consists of three levels of “completeness” and maturity of the self: intrapersonal, interpersonal, and transpersonal. Self-Directedness (intrapersonal level) defines the maturity of the self as an autonomous individual and is linked to concepts of self-efficacy and self-esteem. Cooperativeness (interpersonal level) defines the maturity of the self as part of a community or society and is linked to concepts such as compassion, empathy, and tolerance. Self-Transcendence (transpersonal level) defines the maturity of the self as integrating part of a transpersonal, universal reality and is linked to concepts such as spirituality and creativeness. One study investigated the effects of an 8-week mindfulness-mediation program on the Cloninger Temperament and Character Inventory (TCI) personality profiles (Cloninger et al., 1993) of three groups of individuals with no previous meditation experience, as compared to a non-meditation control group. In the three meditation groups, significant increments were observed in all three character scales describing the levels of self maturity at the intrapersonal (Self-Directedness), interpersonal (Cooperativeness), and transpersonal (Self-Transcendence) levels. No changes were found in the control group (Campanella et al, 2014). Key aspects of mindful awareness such as “openness” and “receptiveness” to the present-moment experience during meditation were found to have contributed to these improvements. Openness and receptiveness stand in contrast to “mindlessness,” or the lack of awareness we typically experience when mired in everyday thoughts and rumination about past or future concerns that impede our ability to self-regulate our behavior. Interestingly, these improvements were significant only in groups engaged in consistent daily meditation practice, not in the group that attended the meditation training but were less consistent in home practice. Another study compared the TCI character profiles of three groups of Buddhist meditators with varying levels of meditation experience (28 “naïve” individuals; 58 beginners with less than 2 years of practice; and 73 experts with more than 2 years of experience). Expert meditators achieved higher scores in all three aspects of the character profile (intrapersonal, interpersonal, and transpersonal) than beginners and naive subjects, indicating greater overall self-maturity (Haimerl & Valentine, 2001). Interestingly, beginners scored higher than naïve individuals on the self-transcendence scale, indicating that even early meditation progress led to positive growth in the character components of personality. Some studies have focused on correlating meditation’s influence on traits associated with Big-Five models of personality (such as McCrae & Costa’s 5-Factor NEO, which includes 5 supertraits: neuroticism, extroversion, openness to experience, agreeableness, conscientiousness). For example, one study found that greater mindfulness was associated with lower neuroticism and lower emotional interference (Ortner et al., 2007). A meta-analysis of 29 mindfulness meditation studies found that mindfulness had strong positive correlations with conscientiousness but strong negative correlations with neuroticism and negative affect (Giluk, 2009). While neurotic individuals tend to be anxious, moody, and insecure and more susceptible to psychological distress, mindful individuals are dependable, goal-directed and have good self-regulation skills. Improved openness to experience, curiosity, and extroversion; lower neuroticism. Another study using the NEO-Five-Factor Inventory also found that mindfulness was associated with positive affect, as well as increased levels of curiosity, openness to experience and low neuroticism. A high level of mindfulness was also associated with greater extroversion, a tendency to experience positive emotions and being sociable. Furthermore, extroversion helped reduce moodiness and worrying, leading to a reduced focus on achievements, which is related to the conscientiousness trait (ven den Hurk et al, 2011). Improved self-directedness, conscientiousness, agreeableness and authenticity; lower neuroticism. One study focused on personality changes occurring at a deeper, implicit level, finding that meditation may influence traits such as sense of responsibility, authenticity, compassion, and self-acceptance, thus significantly shaping an individual’s personality toward a more coherent and healthy sense of self and identity (Thompson and Waltz, 2007). The study found that greater mindfulness, again, was negatively related to the neuroticism trait (anxiety, worrying, moodiness, impulsiveness, and self-criticism), but positively correlated with agreeableness (the tendency to be trustworthy and altruistic) and conscientiousness (the inclination to be efficient, organized and highly self-disciplined). Self-Congruence, stronger sense of self. Self-congruence occurs when a person’s “ideal self” (i.e., who they would like to be) is congruent with their actual behavior, who they really are. The closer those two self-concepts are, the healthier our psyches. We have two sources of self-evaluative tendencies: (1) The first relies on processes of intentional reasoning that shape our explicit attitudes through well-articulated beliefs and motivations; (2) The second source is rooted in associative and automatic processes in which intuitive feelings and evaluations, that we may or may not be aware of, shape our implicit attitudes (Gawronski & Bodenhausen, 2006; Jordan et al., 2007). As we discussed in 7 Popular Myths About Self-Esteem, congruence between implicit and explicit self-representations serves important self-regulatory functions, and incongruities between these two forms of self-evaluation can trigger various forms of psychological distress. For example, unhealthy forms of perfectionism may occur when one shows high implicit self-esteem but low explicit self-esteem. On the other hand, people with high explicit self-esteem and low implicit self-esteem tend to be narcissistic and feel threatened by criticism. One meta-review of meditation studies evaluated whether mindful awareness promotes a coherent self in which implicit and explicit self-representations become better integrated with each other (Crescentini & Capurso 2015). The reviewed studies suggested, generally, that high mindfulness led to congruence between implicit and explicit self-concepts. Another study evaluated whether an 8-week meditation course directly affected implicit as well as explicit self-concepts in meditation-naïve individuals (Crescentini et al., 2014b). Researchers measured changes in explicit self-conepts (e.g., Self-Transcendence in Cloninger’s TCI) and implicit self-concepts (using an Implicit Association Test for religiousness/spirituality). They found that meditation led to widespread increases in explicit religiousness/spirituality and to more limited increases in implicit religiousness/spirituality in the individuals with low pre-existing implicit religiousness/spirituality (i.e., before the meditation training). Moreover, the two religiousness/spirituality measures both increased congruently after the meditation training, showing that meditation integrated explicit and implicit self-concepts. Generally, the reviewed studies suggest that meditation may have an impact on implicit self-concepts, which is important, considering that implicit attitudes may be more difficult to transform than explicit attitudes. While explicit attitudes may represent recently acquired self-representations coexisting with the implicit ones, implicit attitudes could reflect more stable and older evaluative representations that have origins in long-term personal experiences. Development of mindful awareness thus appears to impact the meditator’s responses at an automatic level, which suggests that it could be involved in gradually transforming patterns of automatic and habitual reacting and self-evaluation. Another important review of various forms of meditation extended these findings to self-esteem (Koole et al., 2009). Meditation led to greater congruence between explicit self-esteem and implicit self-esteem and demonstrated that meditation encourages people to rely more on intuitive feelings of self-worth; they were able to get in touch with deep-seated feelings and intuitions. Taken together, these studies suggest that meditation fulfills important self-regulatory functions, for instance by allowing intuitive self-attitudes to be more easily attuned and integrated into explicit self-attitudes, thus contributing to a more coherent self-image (Koole et al., 2009; Crescentini et al., 2014b). Some studies have found that meditation may indeed promote positive changes in an individual’s self-concept and personality, and that this change in perspective may be triggered by an enhanced ability to experience the sense of self as a transitory event, rather than as a constant and unchanging entity (Hölzel et al., 2011). The detachment from identification with a static sense of self gives meditation practitioners increased objectivity about their own internal experience that, in turn, could help them experience more authentic ways of being. Experiencing the transitory nature of the sense of self may lead to the “deconstruction of the self,” which may promote changes in personality traits. Moreover, the practice of meditation generally aims to develop new ways to experience and face life events, which may also lead to changes in personality. Regular practice of meditation may eventually lead to a shift in perspective or reperceiving, a metamechanism that allows them to stand back and witness their own thoughts and experiences instead of being immersed in them. Reperceiving helps the meditator recognize what’s really important in life and seek to attain higher values. The executive control component of attention exerts voluntary, goal-directed control over which stimuli, thoughts, emotions, and actions we choose, despite our habitual and/or prepotent tendencies. The ability to control attention and habitual behavioral responses predicts successful personality growth, especially in tasks involving response inhibition — that is, the voluntary withholding of a habitual or impulsive response. In one study (Sahdra et al, 2011), participants practiced meditation for 6-10 hours per day for 3 months in an isolated retreat setting using seven meditation techniques: (1) mindfulness of breathing to induce relaxation of body and mind, and facilitate calming of compulsive thinking and sensory distraction; (2) observing mental events (“settling the mind in its natural state”) to enhance attentional stability and vividness; (3) observing the nature of consciousness (“awareness of awareness”) to increase the stability and vividness of attention; (4) loving-kindness to arouse a heartfelt wish that self and others will experience genuine happiness and its causes, replacing resentment and hatred with a spirit of forgiveness; (5) compassion to arouse a heartfelt wish that self and others will be free of suffering and its causes, thereby overcoming apathy and aloof indifference; (6) empathetic joy to arouse delight in one’s own and others’ successes, joys, and virtues, thus countering inclinations toward envy; and (7) equanimity to arouse an impartial, unconditional sense of affectionate concern for all beings, regardless of closeness to or distance from oneself. Researchers employed a 32-min response inhibition task to assess sustained self-regulatory control and assessed adaptive functioning by measuring anxious and avoidant attachment, mindfulness, ego resilience, empathy, and the 44-item Big Five Inventory to measure these broadband traits: Extroversion, encompassing such traits such as talkative, energetic, and assertive; Agreeableness, being sympathetic, kind, and affectionate; Conscientiousness, being organized, thorough, and reliable; Neuroticism, being tense, moody, and anxious; and Openness to experience, having wide interests and being imaginative and insightful. Meditation participants improved on response inhibition and adaptive functioning over time; whereas, the controls did not. However, the controls later also improved on both dimensions during their own meditation retreat. Researchers speculated that improved metacognitive monitoring might reduce a person’s tendency to ruminate on negative experiences (or their negative interpretations of experiences). Greater attentional control might allow one to keep goals for positive social behavior in mind, making it easier to avoid unnecessary conflicts and hurt feelings. Such attentional control and meta-cognitive monitoring might also make it easier to reappraise situations and experiences in ways that are conducive to positive rather than negative emotions, and beneficial rather than harmful responses to other people. Finally, this kind of self-regulation might make it easier for a person to focus on, and remember, prosocial norms and goals. Realizing deeper benefits through Sahaja meditation, such as personality and character trait improvement, likely requires high-quality meditation sessions, which involves achieving the powerful state of thoughtless awareness. Sahaja meditation’s state of thoughtless awareness has a built-in ability to enhance self-awareness, emotional regulation, and other key elements that drive personality improvement. Thoughtless awareness is a state of resting attentiveness that offers global meta-awareness, or “awareness of awareness.” While thoughtless awareness feels restful, it has a built-in capacity, through sharper, internalized attention, to bind together various aspects of our attentional, perceptual and emotional experience into a state of purer, unified awareness. In the state of thoughtless awareness, the essential self experiences itself, providing crystal clear clarity as to which aspects of oneself need to be improved. One is able to observe one’s own traits in a detached, objective manner without emotional reactivity. A 2015 fMRI study found that during meditation, long-term Sahaja practitioners experienced activation in fronto-parieto-temporal regions involved in sustained attention, and in limbic regions involved in emotional control (Hernández et al, 2015). A 2016 Sahaja meditation study using MRI and Voxel-Based Morphometry found that long-term Sahaja practitioners (compared with non-meditators) had significantly larger grey matter volume (GMV) across their entire brains, a phenomenon not previously found in practitioners of any other meditation technique (Hernández et al, 2016). (No GMV increases were found in non-meditators.) This study also found increased GMV in right hemispheric regions associated with sustained attention and cognitive control, emotional control, self-awareness, interoceptive perception, monitoring of autonomic functions, and feelings of empathy and compassion. GMV was also found to be greater in regions of Sahaja practitioners’ brains that are involved in emotional intelligence, including the insula, which is associated with increased self-actualizing, “good life” traits such as, personal growth, self-acceptance, purpose in life, self-directedness and autonomy. A 2014 neuroimaging study found that Sahaja meditation may exert top-down emotional regulation, improving our ability to appraise an event’s emotional-motivational significance without overreacting emotionally (Reva et al, 2014). The study suggests that long-term Sahaja meditation may cause neuroplastic changes that allow this ability to gradually become automatic. Several studies have found that Sahaja meditators are able to “switch off” neural circuitry in order to maintain focused, internalized attention and to inhibit negative cognitive and emotional thought processes (Aftanas &, Golocheikine, 2001; 2005). 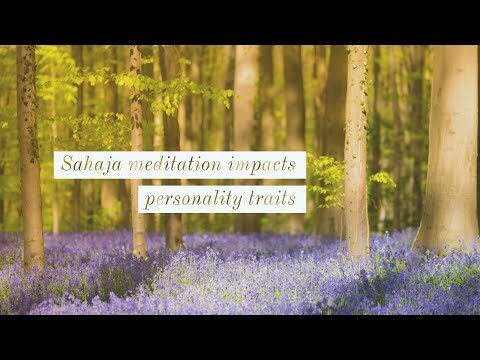 Experienced Sahaja meditators, compared to beginners, were shown to have higher psychoemotional stability, which is characterized by lower levels of trait anxiety and neuroticism and a greater ability to identify the emotions they were feeling (emotional intelligence) (Aftanas &, Golocheikine, 2005). 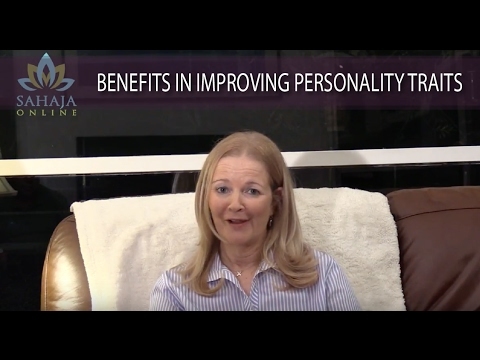 An individual’s path to personality improvement may not necessarily include any form of “talk therapy.” In fact, because Sahaja meditation influences an individual’s entire subtle energy system, the regular practice of Sahaja may “automatically” confer some of the same benefits provided by an approach such as psychotherapy. But for some, a combination therapy — meditation + psychotherapy — may prove to be the best solution. For an in-depth look at the scientific evidence exploring all the benefits of thoughtless awareness, see Scientific Evidence of Thoughtless Awareness and Meditation as Emotional Regulator. To learn how Sahaja meditation promotes mindfulness, see Mindfulness and Sahaja and Mindfulness and Meditation). Some may argue that improving one or two personality traits doesn’t significantly alter your overall personality type, and that may well be true, depending on which traits. As you can see in Part 2, Explore Your Personality Traits, personality is an amalgam of multiple traits, and personality models or profiles are always comprised of a cluster of “essential” traits, “supertraits,” or “broadband traits.” These traits in any one person tend to occur along a spectrum, in varying degrees, and have a varying degree of influence on the composite personality a person exhibits in daily life. But ultimately, a fully formed personality is composed of a cluster of traits. 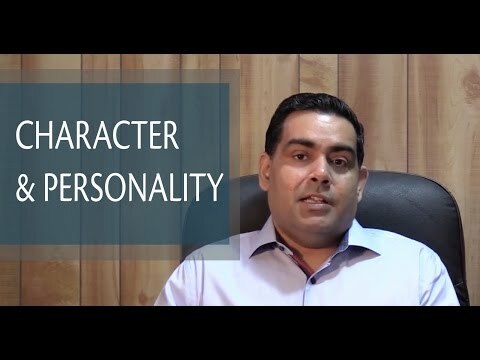 And in general, an individual’s cluster of traits tends to conform to, either positively, negatively or a mixture of both, the personality models discussed in Part 2. Typically, the degree to which personality traits naturally continue to evolve for many once they reach adulthood is less significant — more of a “touch-up,” rather than a whole new coat of paint. Improving one or two traits may not dramatically change an individual’s general personality type, depending on the traits. For example, if, through meditation or any other strategy, you become a little more outgoing or a little less fearful or a little more open to new experience, and while, yes, every improvement is progress, it won’t necessarily significantly change your composite personality. If, say, you enhance the trait of openness, it won’t help much if you’re extremely hostile, aggressive, angry and prone to revenge. Even the most destructive psychopaths may be open to new experiences because, if nothing else, they have one of the novelty-seeking/thrill-seeking gene variants that drives them to constantly seek new adventures. But hey, they’re psychopaths, so they’re certainly not conscientious. They don’t care how their actions impact the welfare of others, so what does it matter if they’re “open?” It’s not enough to make them better human beings. They may even appear to be “agreeable,” but such outward behavior is likely only a mask, a learned behavior that allows them to appear “normal” in order to blend in, manipulate or exploit others, and accomplish their own agenda. But in fairness, psychopathy is a drastic example. Psychopaths are an anomaly; only around 3 percent of men and 1 percent of women have Antisocial Personality Disorder, and not all of them are raging psychopaths. And as for the rest of us, we can take heart in knowing that trait synergy may provide a solution to the cherry-picking problem. Personality psychiatrist Robert Cloninger suggests that each personality trait is modified by other traits (Cloninger et al, 1996), just as genes modify other genes. Thus, improving one key personality trait may help improve others. So, for example, the synergistic effect of improving traits such as self-awareness, self-maturity, and self-directedness may ultimately synergetically improve other traits such as impulsivity and neuroticism or harm avoidance. This concept is similar to Kruse’s Towing Principle (also known as the “virtuous circle”) discussed in Part 3: How Character Strengths Improve Your Life, which holds that two character strengths have a mutual impact (and predictive abilities) upon each other; that is, they are mutually reinforcing (Kruse et al., 2014). Can meditation influence early personality development? There are no “personality disorders” among children because their personalities are still being shaped. So, for children and adolescents, whose personalities are not yet fully formed, it seems quite likely that meditation could positively influence personality development, perhaps “nipping bad traits in the bud” and strengthening positive traits so that the adult personality that emerges is a healthier one. Can consistent, repeated reduction, suppression or dampening of negative personality traits eventually transform those negatives into positives? Although there is currently no research to support this idea, perhaps the answer is yes if, though ongoing meditation, you develop the capacity for consistent self-correction, greater self-regulation that allows you, through executive control, to override negative impulses. Perhaps it is similar to spraying weedkiller on weeds to kill them. It works — the weeds die for the season. However, it’s only fair to point out that, even though the stems and leaves of the weeds died above the surface, the weeds may return the next year because their seeds and root systems were still alive beneath the surface. And so it may be with the stubbornest of personality traits — the seed is still there lurking beneath the surface, thus taming that trait may require continuous self-correction. Possibly, in time, we’ll have better evidence to document the extent to which traits that score on the negative end of the spectrum can be transformed into positive scores. But one thing’s for sure: Even if meditation cannot magically transform every facet of our personalities, it can certainly encourage us to pursue higher values and help prevent us from staying stuck in old, conditioned behavior patterns that aren’t serving us well. And that’s a good start. Block, J., & Kremen, A. (1996). IQ and Ego-resiliency: Clarifying their conceptual and empirical linkage and separateness. Journal of Person- ality and Social Psychology, 70, 349–361. Cloninger, CR. A unified biosocial theory of personality and its role in the development of anxiety states. Psychiatratric Development. 1986 Autumn;4(3):167-226. Dabrowski, K., Kawczak, A. & Piechowski, M. Theory of Levels of Emotional Development, vol. I. Oceanside, N.Y: Dabor Science Pub., 1977. Fabio Campanella, Cristiano Crescentini, Cosimo Urgesi, Franco Fabbro. (2014) Mindfulness-oriented meditation improves self-related character scales in healthy individuals. Comprehensive Psychiatry, Volume 55, Issue 5, Pages 1269-1278. Cristiano Crescentini, Viviana Capurso. Mindfulness meditation and explicit and implicit indicators of personality and self-concept changes. Frontiers in Psychology 2015 29; 6:44. Epub 2015 Jan 29. Crescentini, C., Urgesi, C., Campanella, F., Eleopra, R., and Fabbro, F. (2014b). Effects of an 8-week meditation program on the implicit and explicit self- referential religious/spiritual representations. Conscious. Cogn. 30, 266–280. Gawronski, B., and Bodenhausen, G. V. (2006). Associative and propositional pro-cesses in evaluation: an integrative review of implicit and explicit attitude change. Psychol. Bull. 132, 692–731. Haimerl, C. J., and Valentine, E. R. (2001). The effect of contemplative practice on intrapersonal, interpersonal, and transpersonal dimensions of the self-concept. J. Transpers. Psychol. 33, 37–52. Hölzel, B. K., Lazar, S. W., Gard, T., Schuman-Olivier, Z., Vago, D. R., and Ott, U. (2011). How does mindfulness meditation work? Proposing mechanisms of action from a conceptual and neural perspective. Perspect. Psychol. Sci. 6, 537–559. Jordan, C. H., Whitfield, M., and Zeigler-Hill, V. (2007). Intuition and the cor-respondence between implicit and explicit self-esteem. J. Pers. Soc. Psychol. 93, 1067–1079. Koole, S. L., Govorun, O., Cheng, C. M., and Gallucci, M. (2009). Pulling yourself together: meditation promotes the congruence between implicit and explicit self-esteem. J. Exp. Soc. Psychol. 45, 1220–1226. Nixon, Laurence. The Psychological Role of Meditation in Personality Change From the Perspective of the Theory of Positive Disintegration. January 2009. Ortner, C. N., Kilner, S. J., and Zelazo, P. D. (2007). Mindfulness meditation and reduced emotional interference on a cognitive task. Motiv. Emot. 31, 271–283. Baljinder K. Sahdra, Katherine A. MacLean, Emilio Ferrer, Phillip R. Shaver, Erika L. Rosenberg, Tonya L. Jacobs, Anthony P. Zanesco, Brandon G. King, and Stephen R. Aichele, George R. Mangun, B. Alan Wallace, David A. Bridwell, Shiri Lavy, Clifford D. Saron. Enhanced Response Inhibition During Intensive Meditation Training Predicts Improvements in Self-Reported Adaptive Socioemotional Functioning. Emotion. 2011, Vol. 11, No. 2, 299–312. Sansone, Randy A., D and Sansone, Lori A., MD. Personality Disorders: A Nation-based Perspective on Prevalence. Innov Clin Neurosci. 2011 Apr; 8(4): 13–18. Published online 2011 Apr. van den Hurk, P. A. M., Wingens, T., Giommi, F., Barendregt, H. P., Speckens, A. E. M., and Van Schie, H. T. (2011). On the relationship between the practice of mindfulness meditation and personality: an exploratory analysis of the mediating role of mindfulness skills. Mindfulness 2, 194–200.